Strong, motivated and extremely hard-working woman. They are each brilliant and totally badass when it comes to their businesses. This industry tends to be very male dominated so it’s super cool to have found this camaraderie within our platform.  * Flo Vinger’s brand Ving Vodka probably has one of the coolest websites I have ever seen, and provides the all the right information, images and videos about her vodkas. BY T.K. BRADY - Finally, there’s a real way to keep your wellness streak going straight into cocktail hour. These alcohol brands are serving up booze with superfoods like kale and turmeric infused right into the product. Taking wellness into consideration also means these liquors are formulated with a focus on clean-eating. That means they're free of additives, organic and locally-made. Consider these liquids another dose of fitspo. Here are three bottles you can get your hands on now. BUZZFEED EXPERIMENT - VING VS "ASIAN GLOW"
Asian-Americans Tried VING Vodka And Things Got Weird "I just want to hug everybody in this room.” Buzzfeed did a real test with VING Vodka for “Asian Glow”/”Red Face” - an allergic reaction experienced by a lot of the Asian community - that received over 10 Million aggregate views and resulted in Global Sales. See the results on Facebook or YouTube! For April’s KOR Social, our host Elroy Tay invites you to indulge in some of the best Vodkas in the world. Our bartenders will be using these exquisite vodkas to create 5 cocktails paired with 5 food bites prepared byYoji Tokuyoshi (德吉洋二) is a Michelin Starred, most famous for his “Contaminated Italian Cuisine”. “Of course kale vodka is now a thing” Hey @GwynethPaltrow!! Third time a charm to me mentioned in a #VINGvodka article! During an appearance in Tampa, Florida, full-time Goop-er and occasional Stark Industries employee Gwyneth Paltrow shared some of the secrets to her aspirational lifestyle. “It’s all about moderation,” she enthusiastically told the crowd. “I love kale, but I also love vodka.” Well good news, Gwyneth, because now those two things are available in one small batch-produced bottle. A large number of celebrities made the scene, including Chris Noth, Babyface, RJ Mitte, Amaury Nolasco, Ernie Hudson, Isaiah Washington, Jordin Sparks, Kelsea Ballerini, Roland Martin and Sofia Milos. TAO Social Media founder Rafi Antebyorganized the event. Result: My take on a classic Bloody Mary, this chunky, thicker mix has forward flavors of garlic, worcestershire and horseradish. Orange juice adds a subtle sweetness and the stout gives it a smoother drinkability. Rim: Celery salt Garnish: Lemon and lime wedge, green olive stuffed with pimento pepper Ingredients (served in 12oz. glass with ice): 1-2oz. Ving Vodka FULL RECIPIE HERE! Has Gwyneth heard the good news? Fermented foods, high-fiber snacks, and plant-based everything appear to be taking over food and drink trends, and alcohol is no exception. A California vodka brand has caught our eye by selling premium vodka infused with fresh and organic kale, lemon, and cucumber.